A spicy and unique tasting vinegar. That is how I will described PINOY KURAT, a product of Datu Puti. Pinoy Kurat is the first ever spiced Tuba vinegar which I saw and I was awed by its taste. Take note that I was not paid to do this review for them but I am writing it because you simply must try it. Datu Puti Pinoy Kurat is a blend of fresh spices and fermented Tuba. You read that right, "Tuba." Tuba is also the wine that is popular in the Philippines. 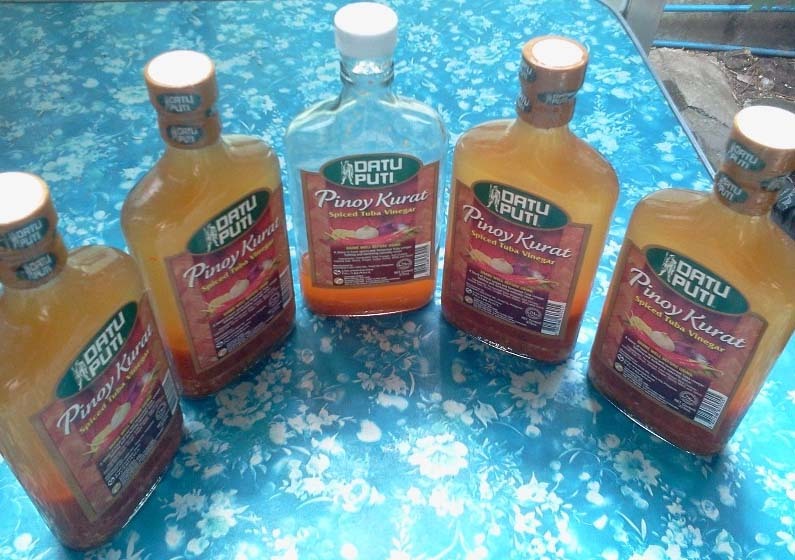 Each bottle of Pinoy Kurat contains mix ingredients of red chillies, iodized salt, onion, ginger, sugar, garlic, MSG and spice. Hmmm... MSG? Well. that is an issue which still needs some scientific debate. Nevertheless regardless of that I would still say that this one is really a new and exciting add-on to our food and as a "sawsawan". It was also used in a Pinoy dish called "Paksiw" and it was really something new. The taste was remarkable. It was quite hot and the taste was remarkable. You can't feel the hotness in your tongue but your body naturally reacts to the savory taste and the hotness that it brings inside. This one is highly recommended for those who want to get a new feeling and sensation in their food. 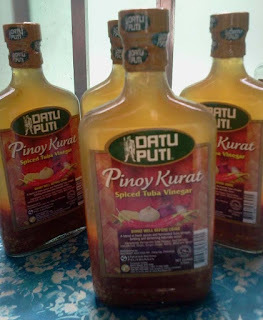 Remember the name Datu Puti Pinoy Kurat, Spiced Tuba Vinegar. Thanks for this information. However, I hope that issues like this will be resolved by the companies since we both want to promote traditional things like this. The issue is here is that local government have already patented this Suka Pinakurat. Local entrpreneurs, not big companies "fermented" this type of vinegar.